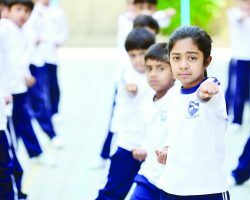 Beaconhouse is committed to providing a safe and secure environment for all its students. To ensure the welfare of all, Beaconhouse believes that every member of the organisation has a role to play, which is encompassed in our Child Protection Policy. Its purpose is to protect both children and staff by clearly defining what action is required in order to keep children safe, and ensuring a consistency of behaviour so that all staff members follow the same process. Child Protection Committees are based at each level of the system, from schools to the School Group to the Regional Office and the Head Office, so that we are able to follow up on any queries or concerns students, teachers and parents may have in regard to child safety in our schools.